From club and ballfitting to tuition at all levels, advanced golf studios like The Golfshop at Northern Learning Centre are completely changing the game of golf. Clubfitting and golf instruction technology has come a long way over the years. What was once the domain of elite touring professionals has slowly trickled down to the masses, allowing golfers of all levels to benefit from sports science’s most exciting breakthroughs. With the aid of launch monitors, video cameras, advanced computer programs and motion capture technology, you can now see—in minute detail—exactly what is happening during every microsecond of your swing. From things like swing path to clubhead speed to impact angle and swing “efficiency”, new golf clubfitting technology can uncover the nuances of a swing that could not be caught by the naked eye. 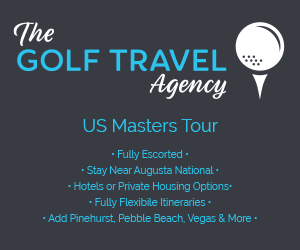 And while all this information may be a bit much to wrap your head around, when placed in the hands of an experienced PGA teaching professional or clubfitter, it can have an amazing impact on your game. Even just getting a single club properly fitted to your game – like a driver, fairway wood or putter—can make a massive difference in your score. Especially if the gear that you are currently using isn’t properly suited to your own game and/or swing. “Far too many people that play the game are using the wrong equipment with poor concepts of the swing itself,” says Scott Barradell, an AAA PGA Professional and TaylorMade Ambassador at Northern Golf Club, near Melbourne. “As golf professionals, we are simply educators to help golfers find their way, and their swing,” he says. It’s this prime goal of educating golfers that drove Barradell to launch one of the newest and most advanced technology studios around: The Golfshop at Northern Learning Centre. I had the opportunity to visit The Learning Centre when it opened last month, and to say that I was impressed is a massive understatement. Designed, managed and run by Barradell, The Learning Centre is packed with a complete array of high-tech wizardry to suit golfers of every level—from beginner to Tour professional. Detailed data about your swing characteristics can help you choose the correct gear for your game, or identify a fault that needs fixing. 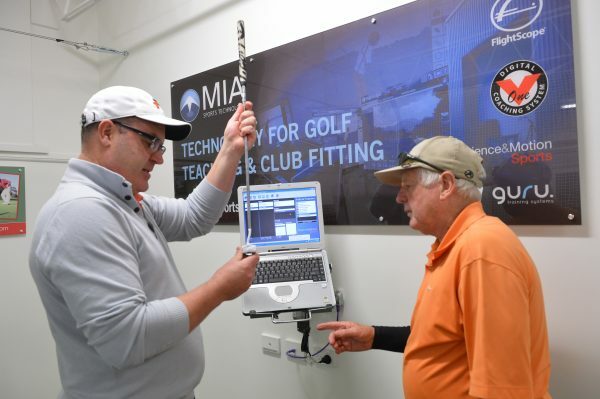 Built and installed by MIA Sports Technology, a UK-based company that specialises in the growing market of golf studio design, The Learning Centre has one of the most impressive technology setups of any golf club I’ve seen (and believe me, I’ve seen a lot of systems over the years). From the live video capture, to the launch monitors to the 3D swing analysis and banks of video screens, the studio feels like something you’d see during a visit to NASA. In addition to the full-swing analysis section, there is also a dedicated SAM Puttlab to help you get your flatstick on track. The SAM Puttlab is an intricate and highly-advanced system that uses a motion sensor device clipped on to your putter. After a series of five putts with the device, the computer crunches the numbers and then displays a plethora of information about your putting path, speed, putterface impact location, consistency and more. Using this data, your pro can then determine the exact type of putter that matches your game, and can also offer any advice or instruction to improve your overall stroke. One of the more important and unique features that sets The Learning Centre facility apart is the fact that it is “brand neutral”; by not being tied into a single brand or manufacturer, golfers and students can be confident in the knowledge that a qualified PGA Professional is recommending the correct brand of equipment is really best suited to their game. Of course, this all is more than just a clubfitting tool. 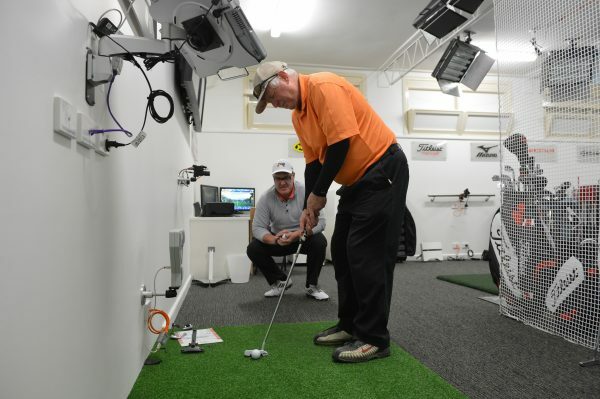 The technology at The Learning Centre is also extremely useful for golf tuition/teaching. By capturing exact data about your swing and the effects it has on the golf ball—like sidespin, launch trajectory and the like—a qualified instructor like Barradell can provide specific tips and instruction to help you shave serious strokes off your score. The Golfshop at Northern Learning Centre is certainly on the cutting edge of golf technology, and I have no doubt that over the coming years more proactive clubs will follow Northern’s lead and employ golf studios like this one into their own facilities and proshops. After all, it’s what today’s (and tomorrow’s) golfers will come to expect from their clubs and golf instructors. For more information about The Golfshop at Northern Learning Centre, visit www.northerngolfshop.com.au or phone 03 9300 2488. The facility is open to the public (bookings required). One Response to "New golf technology and clubfitting studio a real game changer"